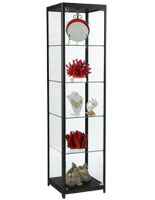 This retail tower display case has a frameless design that creates a custom and seamless presentation for jewelry, high price items, and collectibles. 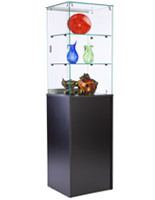 Glass showcases aid in creating a unified focal point, whether it is in the middle of a sales floor or as part of a museum floor plan. 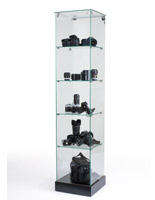 What better way to draw a customer’s attention than with a full vision tower display case, which may be compact in construction but does not lack in capacity for merchandise. 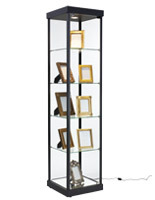 Conveniently and confidently store merchandise with a high price value in a manner that exudes style and sophistication. 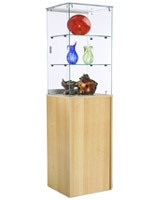 By removing obstructive framing from this tower display case it provides a complete view for items on sale or being showcased. 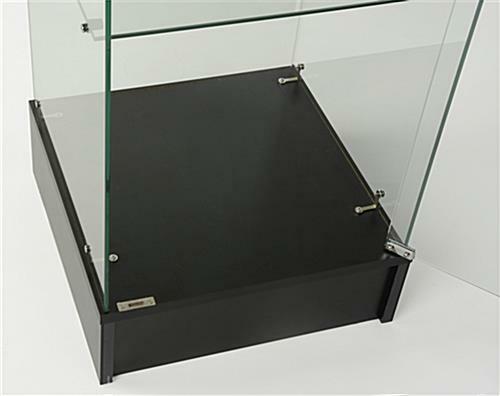 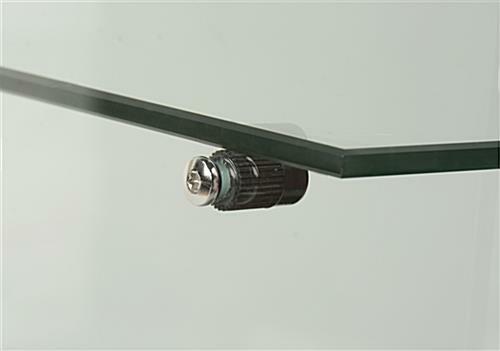 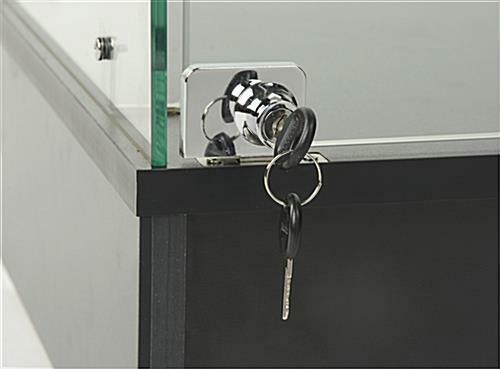 Products placed on the (4) tempered shelves in the glass showcases are safely locked away from prying hands that can tamper, vandalize, or steal. 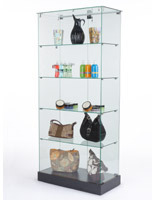 Including store fixtures, such as freestanding showcases into your collection of counters and cash wraps will aid in creating a custom and appealing merchandising presentation. 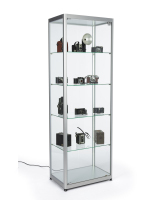 For the price these glass showcases are being sold at, it would be a steal to buy today! 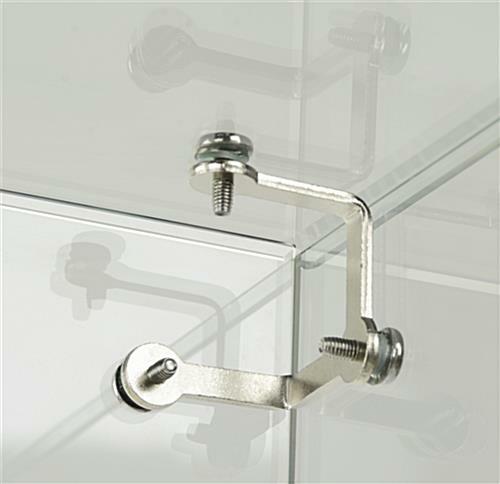 Please reference provided instruction sheets and video for assembly directions. 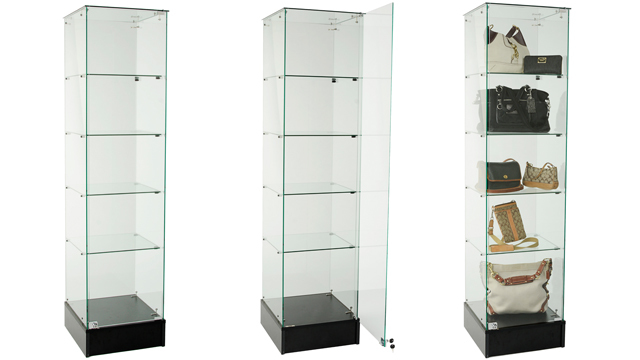 18.1" x 72.3" x 17.5"
18.1" x 6.3" x 18.1"
16.8" x 65.8" x 17.3"